[I]t was surprising that the Saturday morning rally attracted a massive turnout of volunteers willing to knock on doors encouraging votes for Hansen. 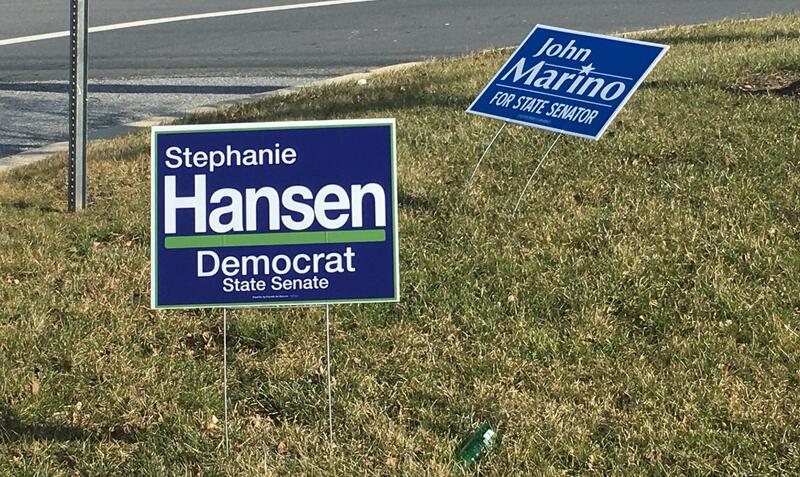 “Usually, if you have a weekend canvass, if you have 20 or 30 volunteers that was always hitting it out of the ballpark,” said Erik Raser-Schramm, Hansen’s campaign manager. That day, 250 showed up. Carolyn Fiddler, of the Democratic Legislative Campaign Committee, said volunteers working for Hansen would knock on 60,000 doors before the campaign is over. “Our field operation is off the charts, as is volunteer activity,” Fiddler said. “Organizers and volunteers have already knocked on over 30,000 doors, and they’ve made over 28,000 phone calls.” There are only 31,000 doors to knock on in the district. […] Sonia Sloan, 88, is hosting a fundraiser for Hansen in the final days before the special election. This longtime Democratic Party activist said she hasn’t seen this much energy and excitement since she chaired the 1968 presidential campaign of Eugene McCarthy in Delaware. A new political action committee, First State Strong, has dropped more than $380,000 to support Hansen, on top of more than $60,000 her campaign itself has spent. […] Marino’s campaign has spent more than $30,000, and its primary PAC ally, FirstStateFirst, has spent more than $35,000. Marino also has received donations from pro-gun, anti-abortion and anti-tax groups. But the Republicans have not come close to matching the Democrats’ firepower. The money is being used by First State Strong to air ads on cable TV in Delaware. I saw one myself this week on the Chris Matthews’s show on MSNBC, which tells you something about the targeting of the ad. The PAC is aiming to motivate the Democratic base in Delaware, and given the volunteer numbers, it is working.